Need Stove or Range Repair Service? Call Appliance Geek for fast same day service. We offer 1 year warranty on parts and 90 day labor warranty! Our technicians can solve your stove or range repair problem in a jiffy. We are among the top rated appliance repair companies in Sacramento. Call us at 916-384-0311 and receive a free service call with repair. 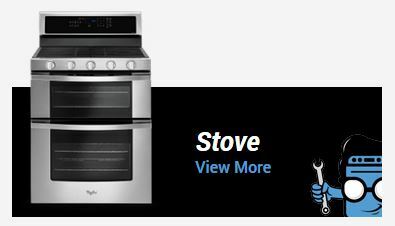 We repair all makes and models of stoves and ranges such as Maytag, Whirlpool, LG, Samsung, Frigidaire, Viking, Sub Zero, Jenn-air, Thermador, Kenmore and much more. There is nothing we can’t fix so call us today. Schedule an estimate online here.